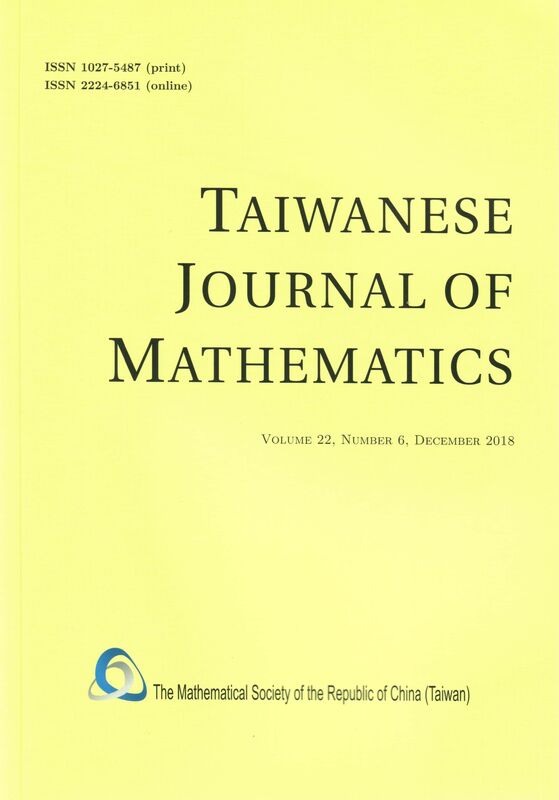 The Taiwanese Journal of Mathematics, published by the Mathematical Society of the Republic of China (Taiwan), is a continuation of the former Chinese Journal of Mathematics (1973-1996). It aims to publish original research papers and survey articles in all areas of mathematics. It will also occasionally publish proceedings of conferences co-organized by the Society. The purpose is to reflect the progress of the mathematical research in Taiwan and, by providing an international forum, to stimulate its further developments. The journal appears bimonthly each year beginning from 2008. CompuMath Citation Index, Current Contents - Physical, Chemical & Earth Sciences, Journal Citation Reports - Science Edition, Mathematical Reviews, MathSciNet, Science Citation Index, Science Citation Index Expanded, Scopus, zbMATH. Full article PDFs in all volumes are available electronically free of charge. View Online Journal on Project Euclid. Announcement: April Issue 2019 has been published. Hope you will enjoy reading this new issue.